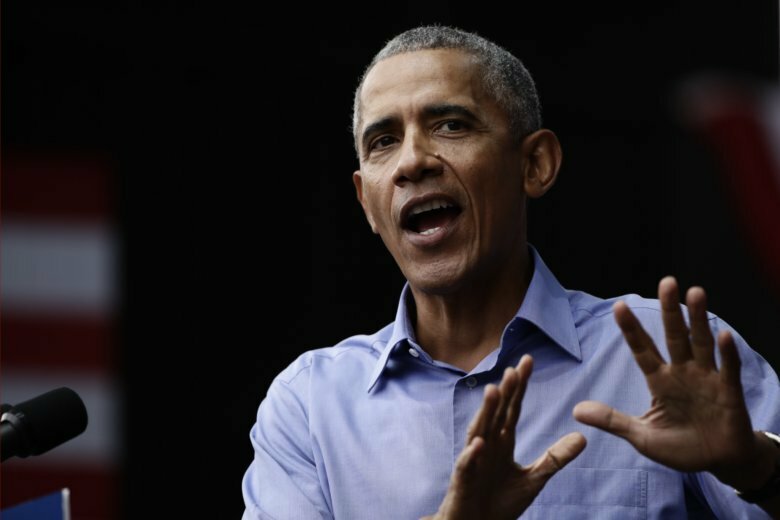 OSLO, Norway (AP) — Former U.S. President Barack Obama took a swipe at President Donald Trump’s attitude to the environment Wednesday, saying the world needs “political and social commitment” to achieve sustainability. “Unfortunately we have a U.S administration that deals differently around these issues,” he said to laughter from the audience as he addressed business leaders in the Norwegian capital of Oslo. In a wide-ranging talk, Obama outlined the need for a higher global focus on the environment, greater diversity in business, and backed using technology to solve global problems. The Obama administration ratified the Paris Agreement in September 2016. Trump dumped the U.S commitment in June 2017. Dressed in a dark suit over a light blue open-collared shirt, Obama said Norway was a country that used “political and social” levers to achieve social democratic goals. He also praised Norway for its focus on gender equality — it’s one of very few countries that has legislated on women in the boardroom, requiring 40 percent of non-executive board members to be female. “Companies with a critical mass of women in leadership perform better, are more profitable, have higher stock valuations. If you are on the board of a company and you look around and it is all a bunch of men, you have got a problem. You are not well organized to succeed,” he said. Obama added that, in a U.S that was undergoing rapid demographic changes, companies which failed to recruit Americans who’re Asian or Latin American in origin were doomed to fail in the long term.